I like the pivot riser aspect except when my handlebars push down to my gauges on a big bump. There needs to be some splines or knurling on the pivot mount and the clamp to better secure it. Twice i have been riding through a wind blown field and hit a hard drift and pushed the handle bars down to the dash/gauges. This riser was the perfect addition to my 96 ultra coupled with a 3 inch spacer. I am 6 ft tall and I can now stand up straight and still have the correct leverage on the machine to put the machine on its edge and control it. Have been using it fo 2 seasons now. Raise my handle bars almost 4 inches. Use original brake and throttle parts. I used this on my 2004 ski-doo rev. It bolted right up and with a 3" extension block it is perfect for my 6'1" height. You will need the extended brake line and throttle cable to make it work. Great adapter. Had no problems installing or using this product. 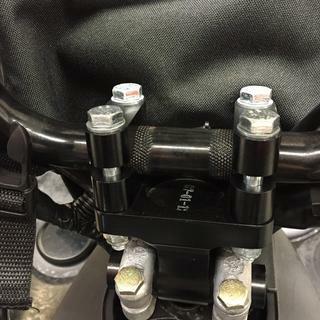 Make sure that you get the specific universal riser to adapt to this because it is a bigger foot print and will not match up with the regular powermadd riser. (I tried) I returned it because it did not fit my riser but it looked like a solid product. 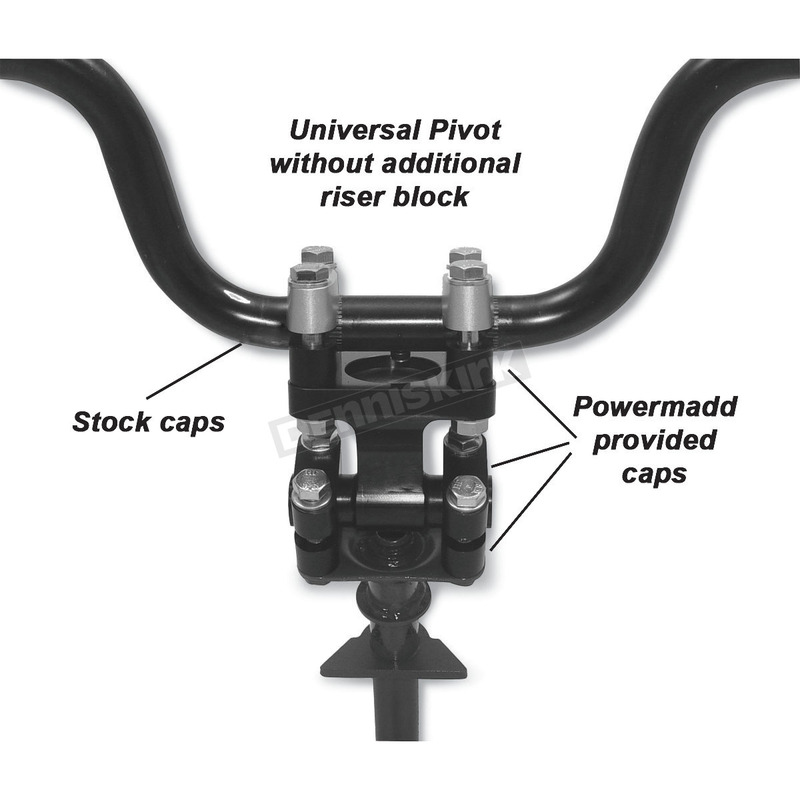 Will this for a 2016 Polaris rush pro s? How wide is this mount?